Last week I blogged about how copper, known to the ancient Egyptians as a means of fighting infection, is being revived now as an antimicrobial agent in hospitals. The Egyptians were good at surgery as well. You were more likely to survive an amputation in that time and place than in Medieval Europe, because the Egyptians tied off the vessels to stop the patient from bleeding out. 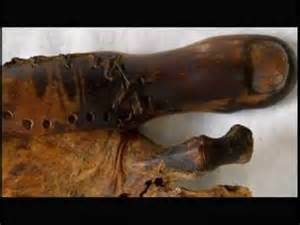 The Europeans cauterized the stump with hot irons, controlling bleeding but causing extensive tissue damage. A peasant trudged in, carrying his son on his back. Tamar guessed the boy was around fifteen. He was tall and slender, with a prominent nose like a steering oar in his narrow face. His lashes were long, his eyes dull with pain. His foot had been crushed between two uprooted trees. Splinters of bone protruded from the flesh; the sight made Tamar’s skin crawl. The boy shrieked at the first cut and then lost consciousness. Tamar leaned all her weight into his calf while another assistant toweled away the blood so Wa’bet could see the red metu and tie them off. The world seemed to be going black. Tamar thought she would pass out so she shut her eyes, just for a moment, and then forced them open again. She made herself breathe deeply, slowly, while Wa’bet sawed through the bones, tucked the ends of all the metu, red and white, up inside the boy’s flesh, and sutured a skin flap around the stump. Together they wrapped it with linen, packing the bandage with lint, powdered pomegranate, and sage. When they were done Tamar straightened her back and rolled her shoulders. She walked up and down a few times until her body stopped trembling. They gave the amputated part to the father for proper burial. I passed this on to my daughter who is a nurse. This is how they used to do it.